Note: No issue, but "adopted" niece Maria Alcena. For privacy and security reasons, certain types of information (like birthdates, nationalities, educational background, etc.) were not included in this listing. 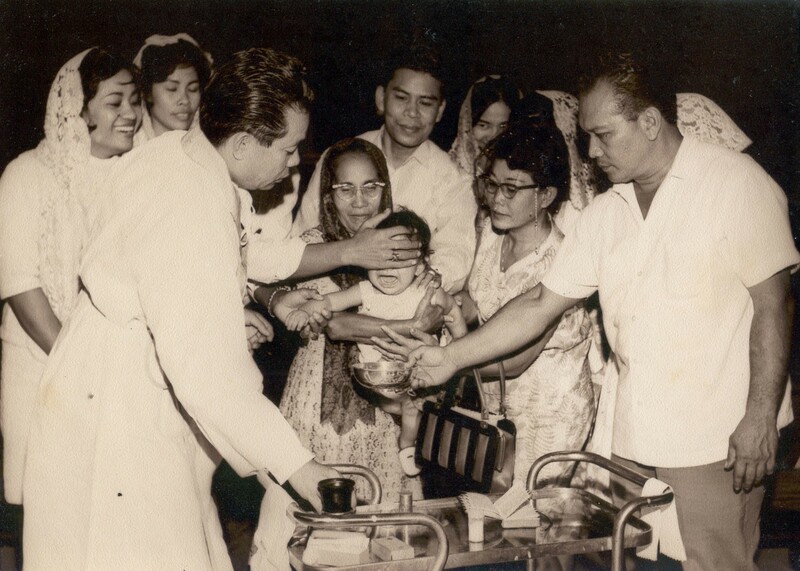 The author in his Lola Encar's arms and being baptized by Rev. Fr. Domingo Nebres.